If FlashGet is already installed on your system, back it up by moving all its files to a separate folder and then unzip the downloaded files to your FlashGet installation folder. 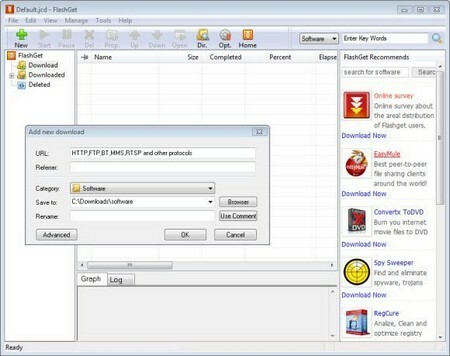 If you’ve ever waited forever for your files to download from a slow connection, or been cut off midway through a download – or just can’t keep track of your ever-growing downloads – FlashGet is for you. NOTE Now Flashget is FREEWARE ! FlashGet supports HTTP, FTP, BT, MMS, RTSP and other protocols. It is seamless between protocols and there is no need to operate manually for download switch. The One Touch technique optimizes BT download and can automatically download target files after getting seeds information, hence no need to operate again.